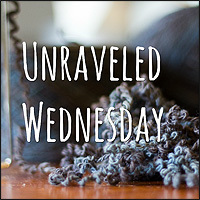 Join Kat @ AsKatKnits for some fun! Knitting the Easy Goes It--I wish I could capture the beautiful browns and blues of this yarn. 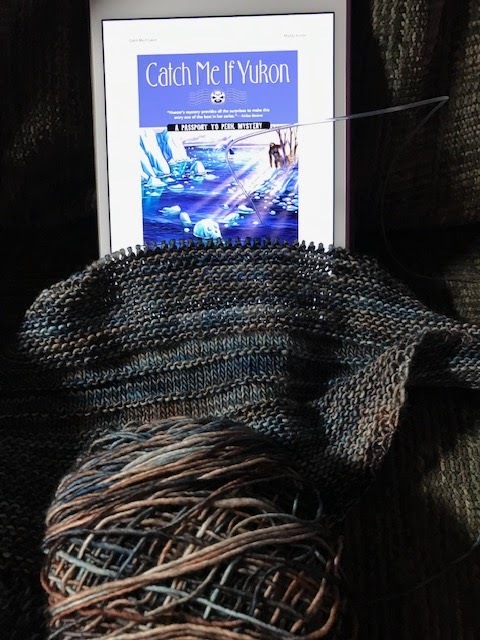 And I'm almost finished reading Catch Me If Yukon: A Passport to Peril Mystery. Some colors are just hard to photograph. I looked at the pattern on Ravelry - very nice little shawl. Since it is free, I popped it into my library there. I really like how that is knitting up! And, I am with Jane - so cute that I added it to my library too! I have some speckled yarn that might be perfect for it! My cast on treat for when I finish the shawl of many colors.